With the Right Offer! 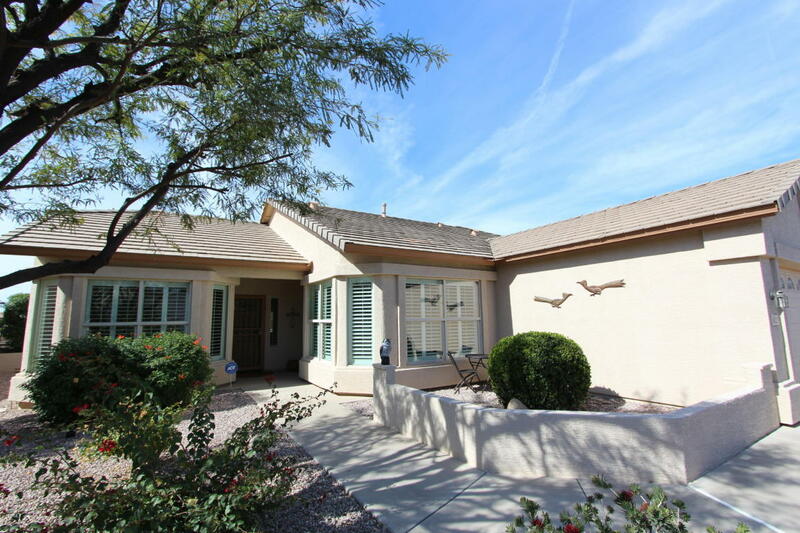 This Turn Key Home Located On The Golf Course can be Yours! Just Bring Your Suitcase and Transportation. This Popular Daybreak Model,features an Open Great Room floor plan w/ Split bedrooms plus a Den. The kitchen boasts Beautiful Up-graded Counters, Upgraded cabinetry w/ pull-out shelves, Kitchen Island, Butlers Pantry, Built-in Microwave plus all appliances stay. Large Master Bedroom with Bay Window, Master Bath has his and her sinks. Kitchen has a Large Dining area with Bay Window, Ceiling fans, Upgraded Flooring, Tile, Real Wood and Carpet. Full Size Patio to Enjoy The Beautiful Sunsets and Watch the Golfers Putt. Solera Offers many activities, Including, golf, tennis, ceramics, play pool, lap pool, work out center, billiards.